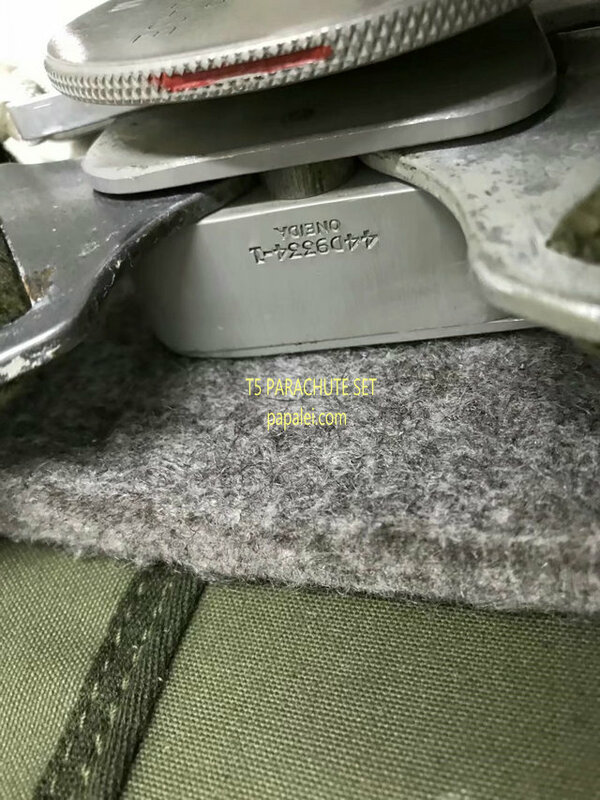 The experience at Normand y expedite d a major modification to the T5 . 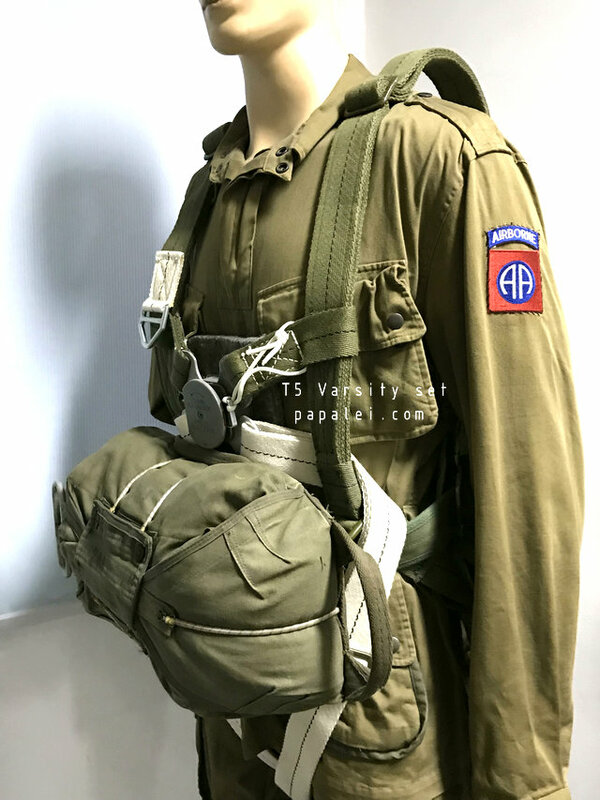 A certain scandal-seeking journalist ( Drew Pearson's syndicated column 'Washington Merry Go Round' , 23 ]une 1944) learned that eight paratroopers drowned in a lake at Camp Mackall early in 1944, and deduced that the Army leadership had neglected to provide quick egress parachute harnesses. 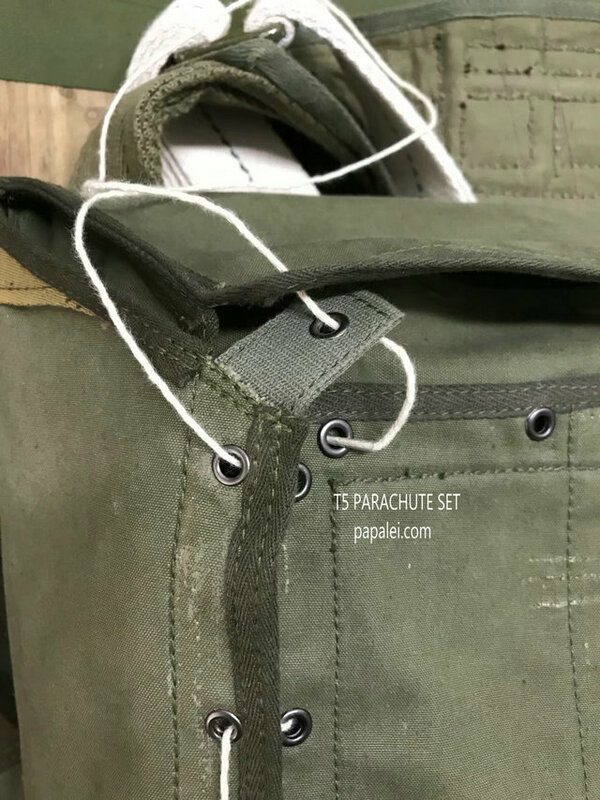 Even Life magazine had a pictorial on the question (June 19 , 1944). 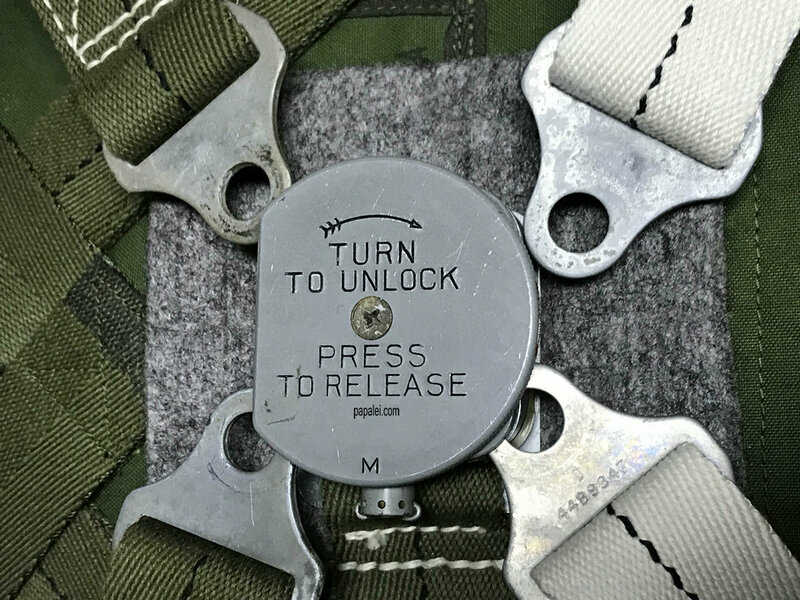 The second modification was made in the winter of 1945 and was far more substantial. 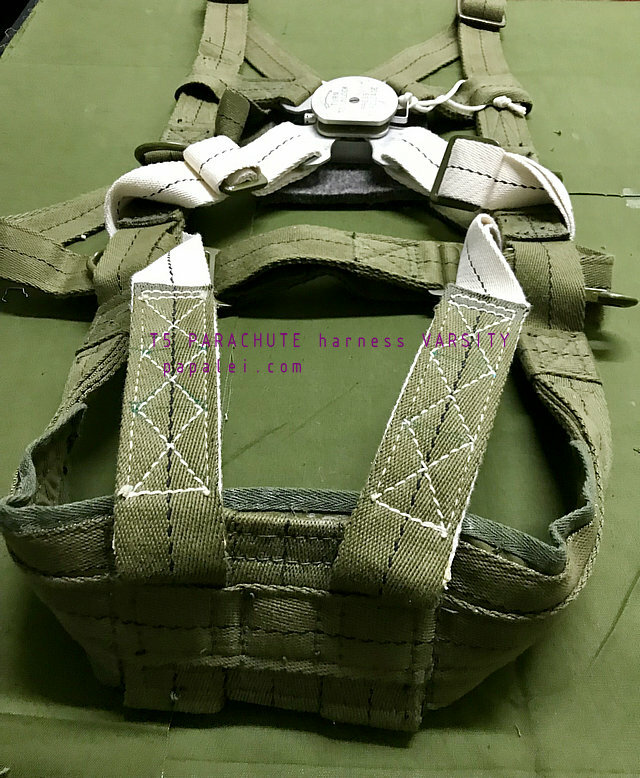 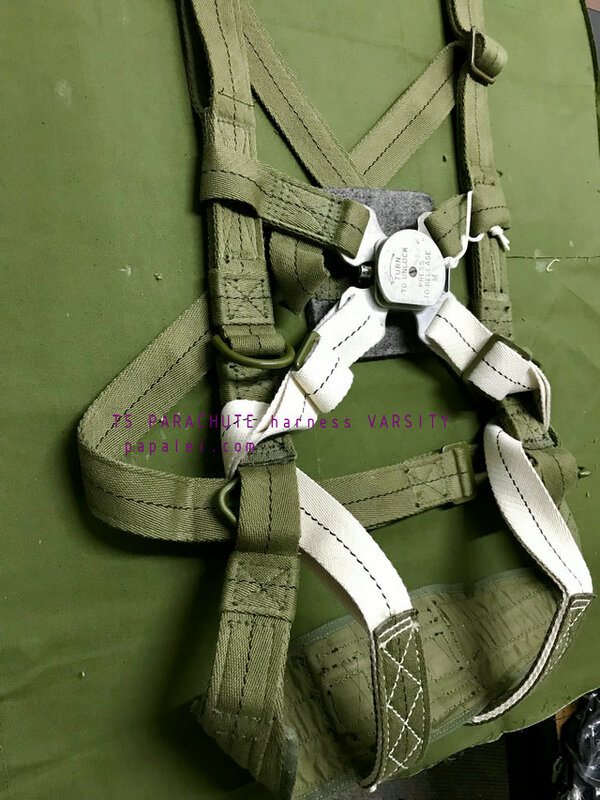 This involved sewing new Extended leg straps into the saddle of the T5 harness and turning it into the T7. 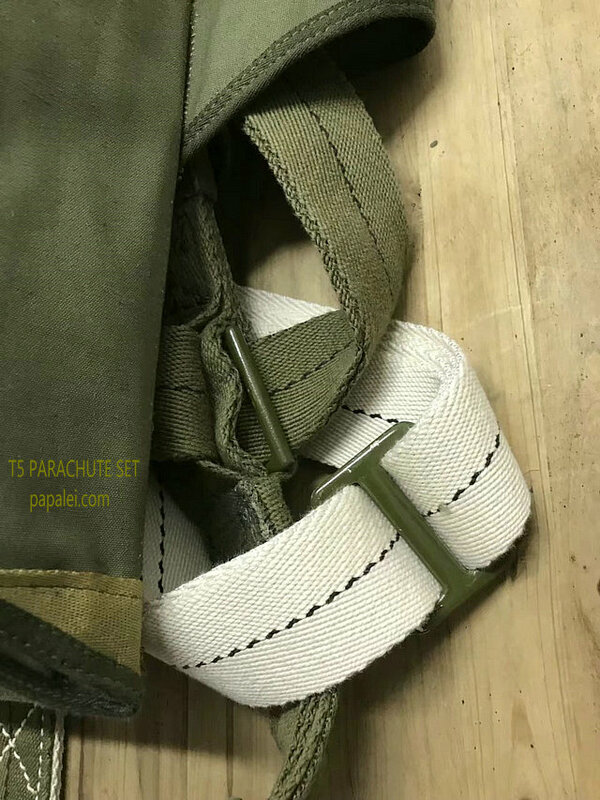 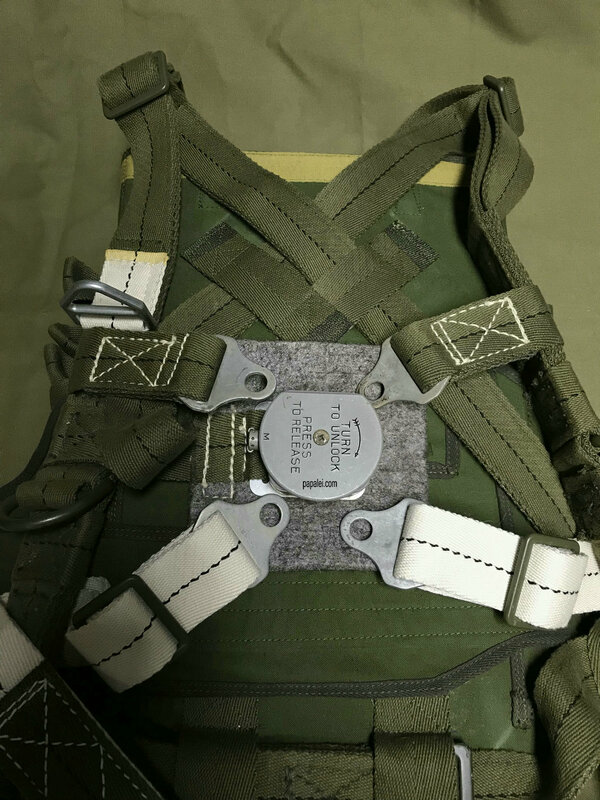 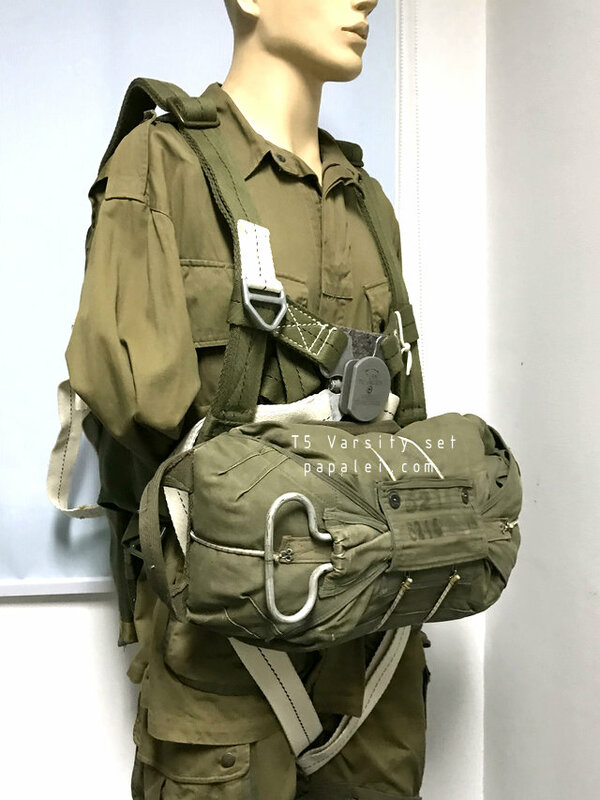 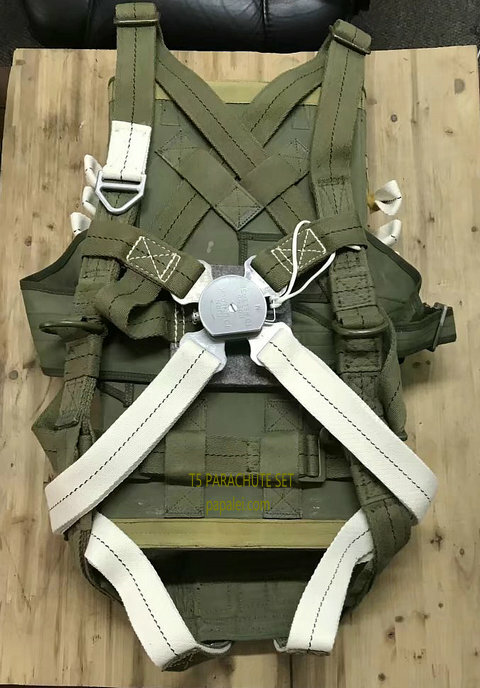 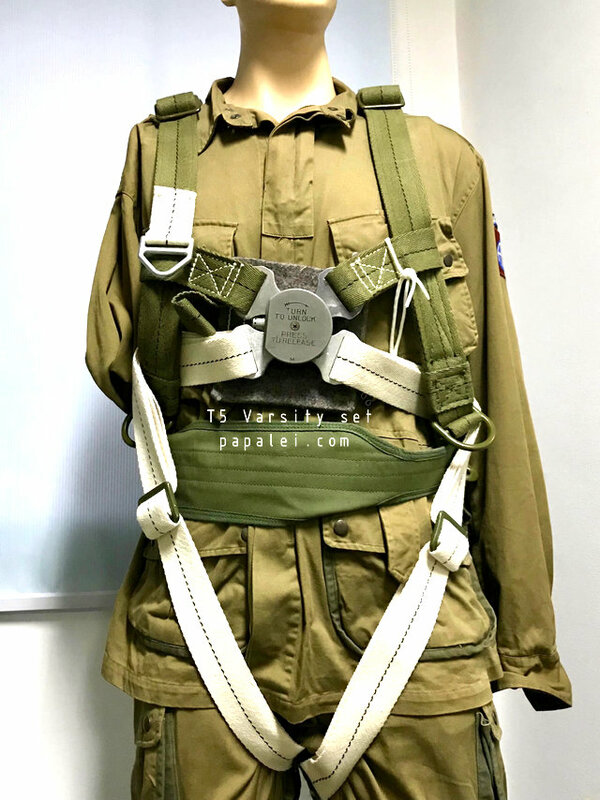 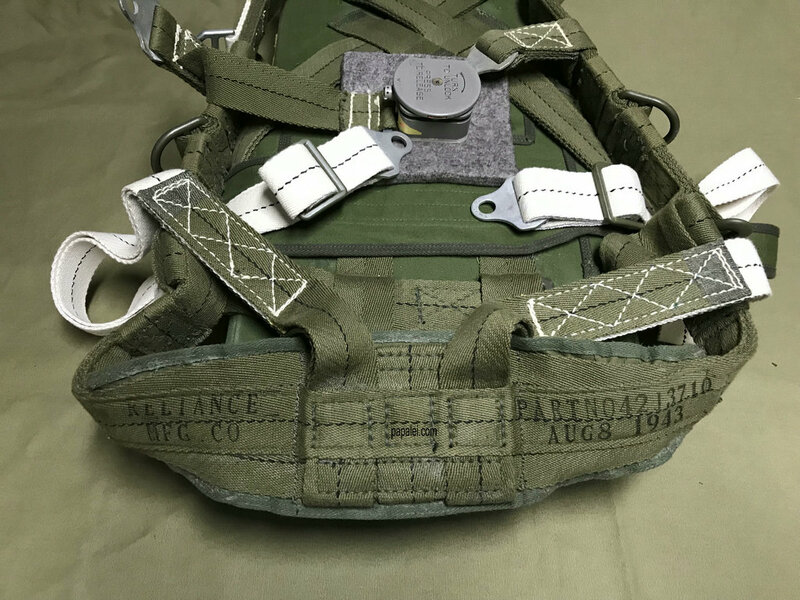 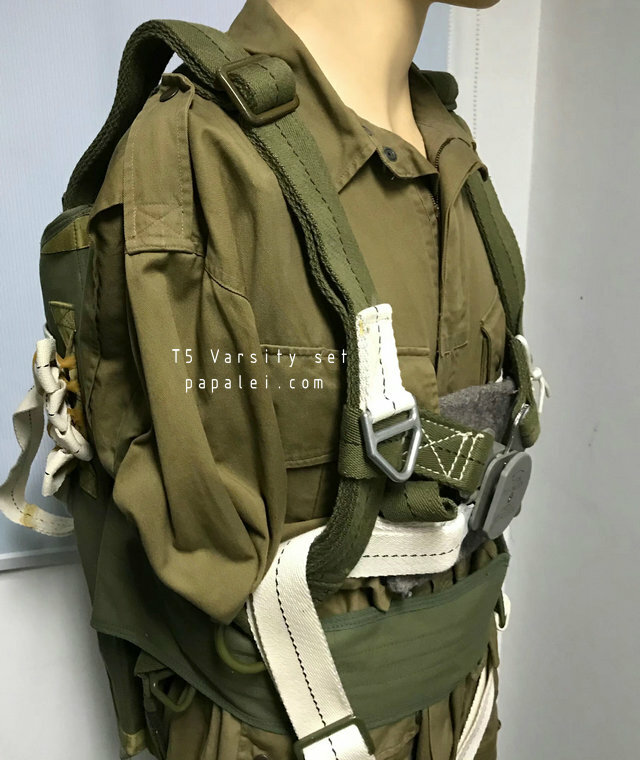 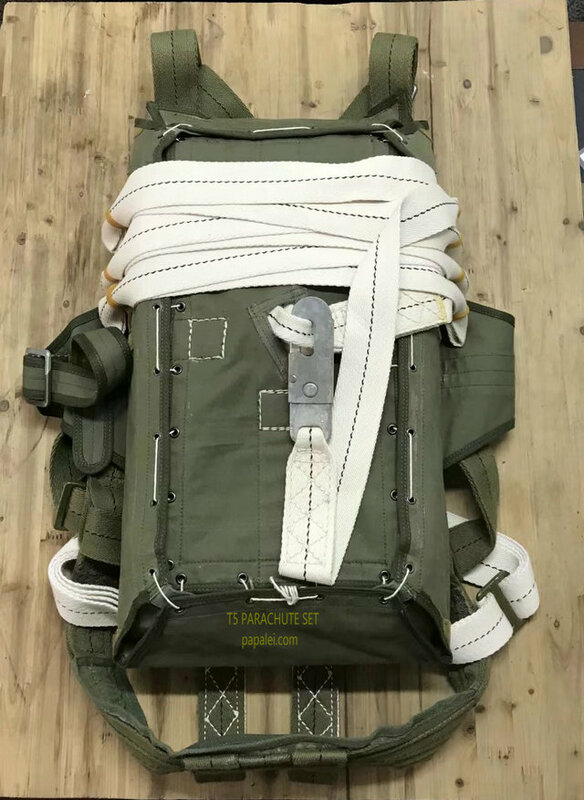 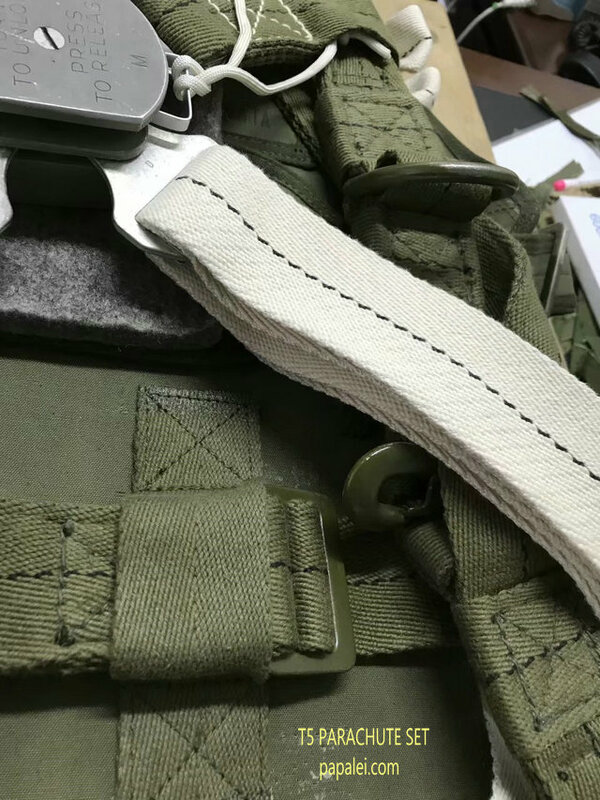 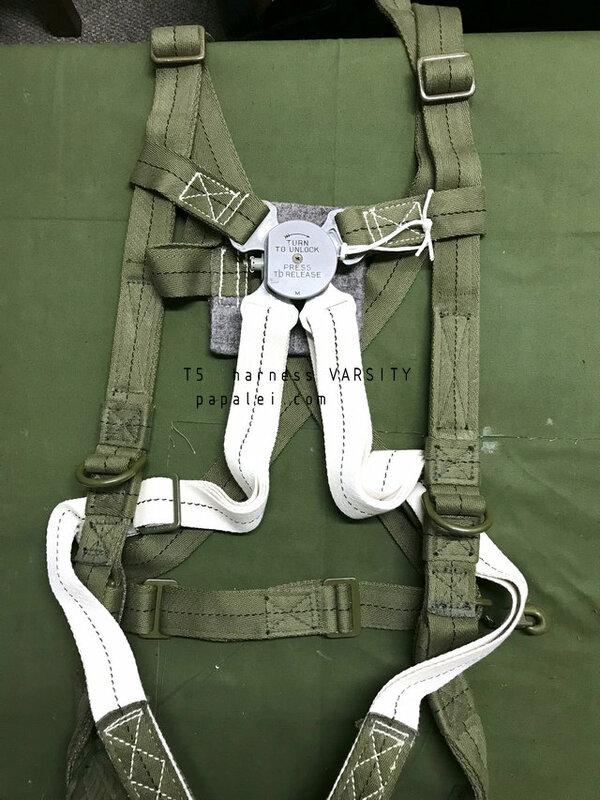 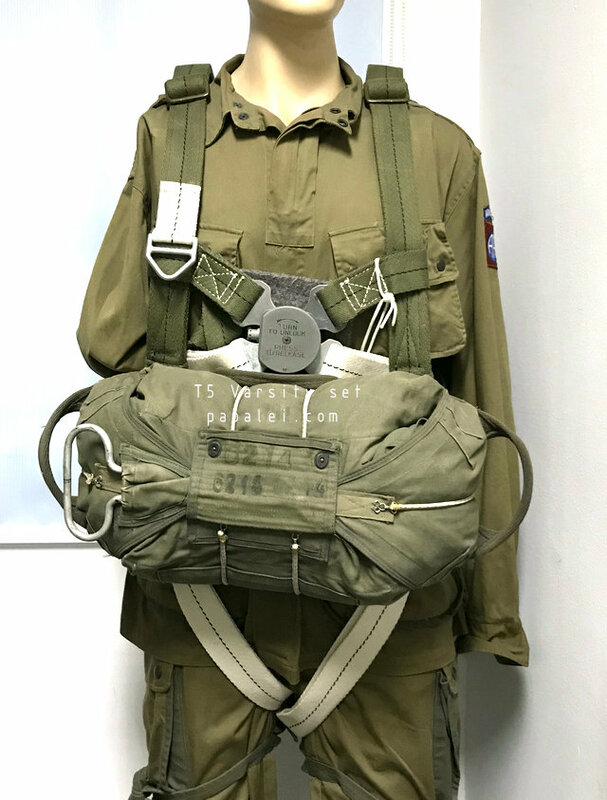 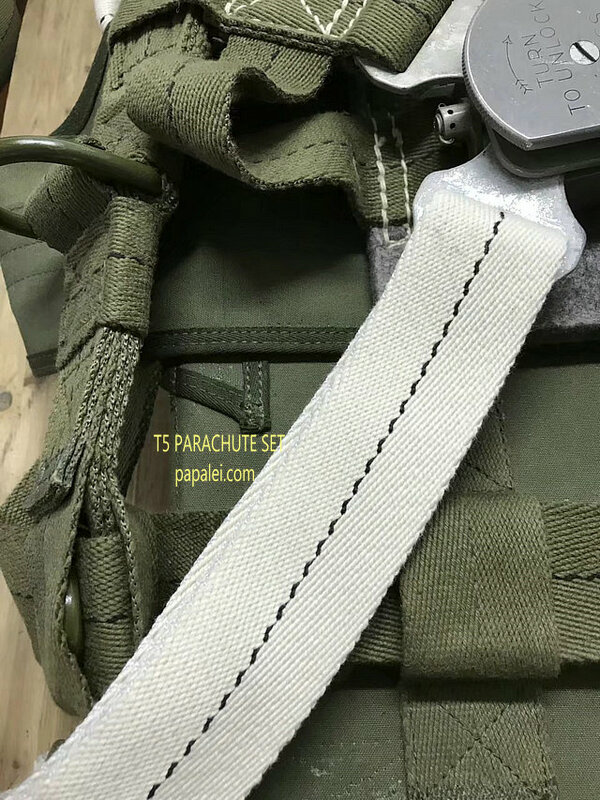 These can be identified by the white webbing leg straps on otherwise green harnesses seen in pictures of the 17th Airborne jumping from C-46s in Operation "Varsity". 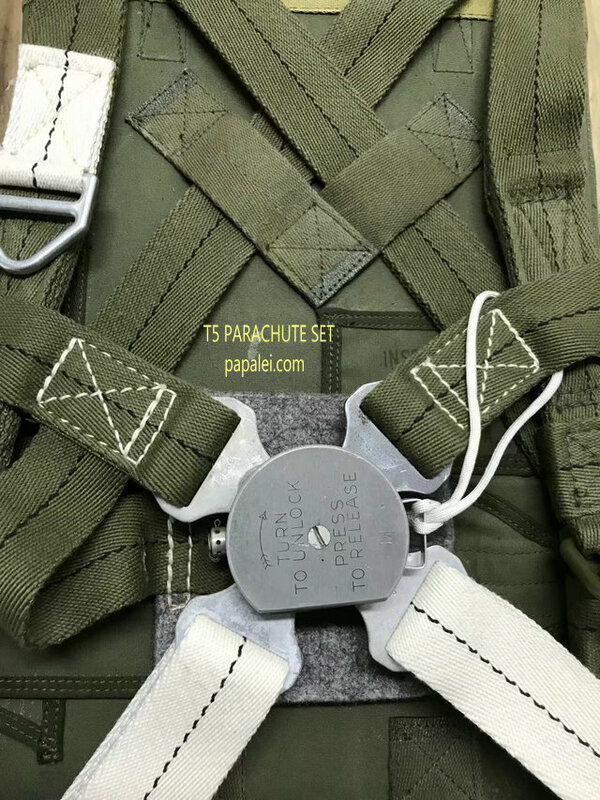 They had 10,000 of these YT7s for the jump over the Rhine.